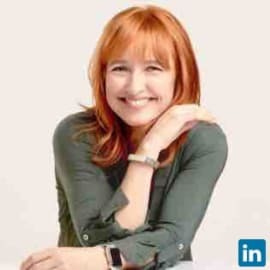 Melinda Briana Epler has more than 20 years of experience elevating brands and developing business innovation strategies for social entrepreneurs, mature social enterprises, Fortune 500 companies and global NGOs. As Founder & CEO of Change Catalyst, Melinda empowers diverse, inclusive and sustainable tech innovation through events, education, mentorship and funding. Through Tech Inclusion, an initiative of Change Catalyst, she partners with the tech community to solve diversity and inclusion together. Her work spans the full tech ecosystem, from Education to Workplace, Entrepreneurship and Policy. Melinda speaks, mentors and writes about diversity and inclusion in tech, social entrepreneurship, women entrepreneurs and investing. She is also an award-winning documentary filmmaker – her film and television work includes projects that exposed the AIDS crisis in South Africa, explored women’s rights in Turkey, and prepared communities for the effects of climate change. She has worked on several television shows, including NBC’s The West Wing.